In 1996, Casper College celebrated its 50th anniversary. 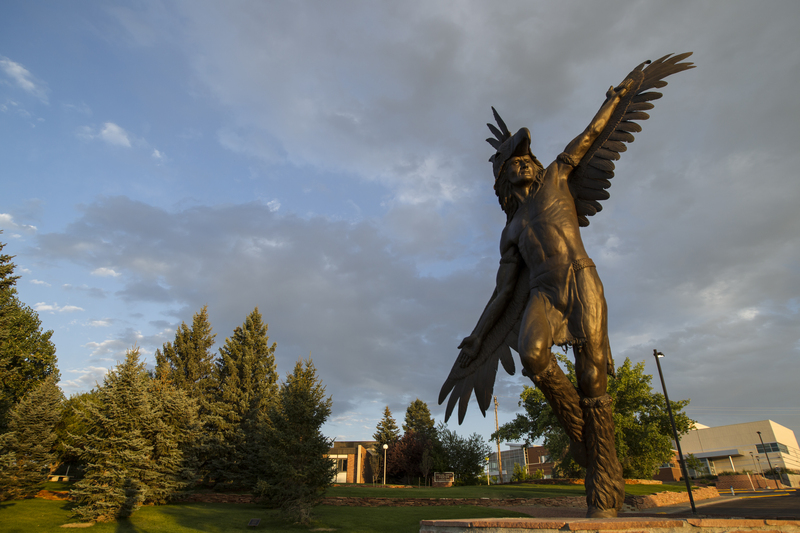 During the anniversary celebration “The Spirit of the Thunderbird”, a monumental brass sculpture by Casper College’s own Chris Navarro, was dedicated. There was also a banquet honoring 50 exemplary alumni in honor of the college’s 50 successful years. Exemplary alumni were chosen for their commitment to the institution and their success following graduation. Casper College: 1947-48 A.A, Col. U.S. Army Ret., Engineer. Casper College: 1971-74 A.S. ’83, Lt. Cdr. USN, Ret.